So, we all have our idea of what we think of when we hear the word “millennial” – lazy, entitled, obsessed. Well, you’re right, they are obsessed, with everything: plants, avocado toast, but most recently, beer glasses. But why beer glasses? And why are Millennials (and other generations) obsessed with something so basic? First thing first, Millennials are defined as “a person reaching young adulthood in the early 21st century.” Young adults who are considered Millennials are born between the early 1980s and 2000s. Breweries and bars all over have begun to draw in crowds on dead weeknights with the easiest marketing strategy called ‘Pint Night.’ This captures customer’s attention because when they purchase a craft beer, they get to keep the custom glass that it is served in. Millennials have become loyal customers by taking part in pint nights. Customers are coming for the glasses, and the beer is just a plus. For most beer geeks, it’s become a collection. Beer is typically served in a standard 12-ounce pint glass. This is the typical universal shaker, beer, and cocktail glass. This basic drinking method is solid because these glasses are sturdy and stackable, and most of them have a logo. Then breweries got real creative, real fast; and they started producing oddly shaped glasses that are now associated with craft beer. Drinkers all over are drawn to these glasses because of how unique and different they are from the standard pint glass. 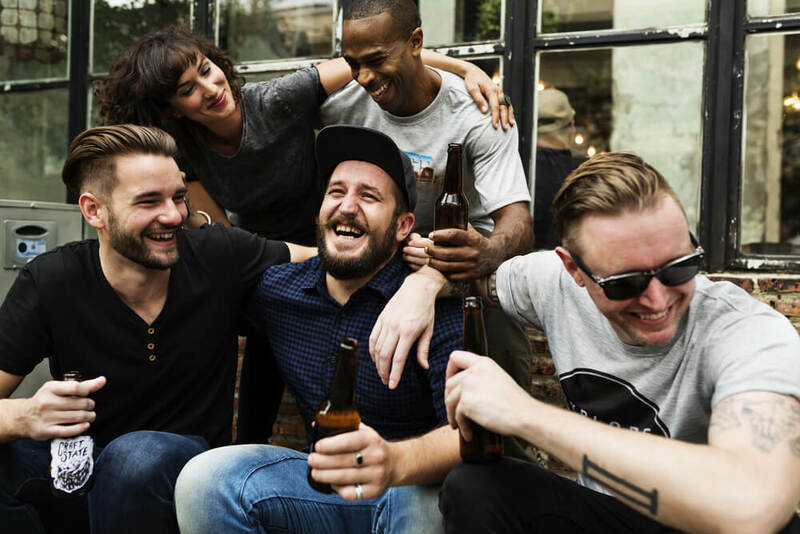 It has been noted that about 60 perfect of craft beer drinkers, who are younger than 35 are responding to social media tactics more than those who are older than 35. Breweries have noticed and they are taking advantage. Millennials like brands who are popular on social media because when they visit the establishment, it allows them to brag and show their followers and friends that they are popular as well. Millennials like sippin’ on these rare, one time made glasses because Millennials are known to be hoarders. They are obsessed with keeping things as souvenirs. Millennials like to feel special, that that’s exactly what these unique glasses are making them feel like as they are sippin’ on the rare beer inside. Most Millennials are also obsessed with trying new things, mainly with food and drink. They are hanging out at local farmers markets and going #vegan, #vegetarian, #paleo, #organic. But don’t worry, if you didn’t know they were making these decisions, just check their Instagram page. So, since they are trying more craft and organic foods, they might as well try craft beers. It’s a plus when they get to keep the glass. More than 69 percent of young adults think of themselves and being adventurous. They thrive on experiences rather than physical items. Millennials are loyal to companies and brands that allow them to experience things that they wouldn’t get in their normal life. Millennials are not only adventurous but also curious, allowing brands to present ideas that they typically wouldn’t. At the end of the day, nearly half of Millennials have never had a Budweiser. Right now is the “golden age of beer” and it looks like craft beer thriving more than ever. Go find a pint night special and hook yourself up with a unique class. Or feel free to swing by Parker County Brewing Company to grab a local glass so you can sip your brew like a Millennial!